Amy spent years in the fashion world creating clothing for the masses. But soon realized that one size did not fit all. When she developed cystic acne in her 20's she found that her situation needed a custom treatment as well. That lead her to a career change. Just like clothing, skincare needs to be tailored to the individual. 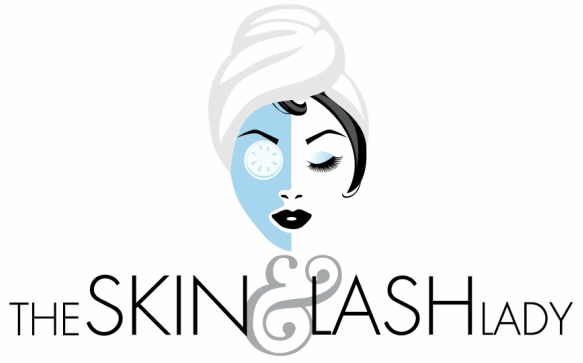 I use the highest quality faux-mink and silk lashes. "My main goal as your esthetician is to provide personal, highly customized, skin care treatments so that you, as my client, can feel confident and in the best of hands. I work with each of my clients to create a unique plan catered to meet your individual needs. My job is to be your dedicated skin care "designer" and to offer you healthy alternatives to achieve long lasting beautiful skin. Your skin is TRULY my passion! I aim to deliver results-oriented treatments for each client and my skin care philosophy is based on medical science. I incorporate innovative, advanced and the safest ingredients that work with the natural processes of your skin. Taking into account each persons unique history, lifestyle and goals, I use my knowledge and education while delivering relaxing and balancing treatment for each guest. I offer alternative solutions to laser treatments and harsh chemical treatments that cause irritation and inflammation that accelerates the aging process. "I believe that skincare is part of health and wellness and I go one step further by education my clients and just like clothing, each treatment is tailored to the individual." For years I wanted my eyebrows tattooed as I had over-plucked and they never grew back. I did not want to look artificial. I discovered the Soft Tap (tm) method of micropigmentation and was so impressed with my own results that I went back to by trained. Soft Tap is a hand method technique of permanent makeup that is less traumatic on the skin and leaves a natural hairstroke look to eyebrows and a less invasive for the lips. For your safety I am compliant with Dept. of Health Sterilization, Disinfectant and Sanitation standards and follow proper procedures under the OSHA laws. I have completed certification or have attended classes following modalities: Microdermabrasion, Oncology Esthetics, Microcurrent, Acne Treatments, Rosacea, Sun-Damaged Skin, Reiki, Japanese Facial massage, and Chemical Peels. I am also certified with NOVAlash Eyelash Extensions, Advanced Lash Trained with Butterfly Lash Solutions and Certified Micropigmentation Specialist with SoftTap. 2400 E. Oakland Park Blvd.